My very first ever pdf sewing pattern, the Bow Tie Leggings & Shorts released exactly a month ago today. That day came with a lot of fear in me. In light of that, I’m going to switch gears here for a second and get personal. I’ve been talking with a few people since I started on this journey, and I’ve made several friends along the way. I’ve shared bits and pieces with fans, but not as much as I have with those customers, testers, and designers that I’ve gotten close to. Candice Ayala at CandiceAyala.com told me that she thought my story was inspiring. I was a little taken aback. Me? Inspiring? I felt like she was giving me too much credit. She insisted that if I would just be raw, I could help inspire a lot of other people to achieve their dreams. I think what it comes down to, is a lot of us are afraid. Afraid of failure, of trying, of being ignored, of what we will do if someone actually does pay attention, afraid of success. I know I was. While I just launched my first pattern a month ago, it actually took me a year to get to that point. I had a million excuses as to why I didn’t want to release anything yet. First it was that I wanted to get the pattern drafting perfected. Mind you, I have been sewing and creating clothing since I was 9. My grandmother was taught how to draft by her sister who was a professional dressmaker in Oklahoma. She taught me when I was a child. It’s an art that is somewhat lost. But that was my excuse that was working for a while. Then I drafted my first blocks, and they fit perfectly. But I didn’t feel like I knew how to use the digital software well. You would think using Adobe software for the 6 years that I owned a professional photography business that I would have had multiple opportunities to learn the software. But that was the excuse that was working for a while. Then I got pregnant. Who can launch a business while they are pregnant? Well, actually a lot of people do. But that was my excuse that was working for a while. Then I had a baby. Who can manage to find time to work with a newborn in the house? I needed to get into a routine first. That was my excuse that was working for a while. I was afraid. I was afraid that I would release something, put my heart and soul into it, and that others would hate it. That once again, I wouldn’t be good enough. The fear was polarizing me and holding me back from what I really wanted to do. I feel like it hit me like a ton of bricks. It was totally true. I was in a prison. I was never going to do anything until I jumped in and just did it. I was definitely outside of my comfort zone. Truth be told, I scheduled the test way too early. Once again I was doubting myself. I could just see all the testers completely hating me because I had wasted their time because nothing was fitting right, so I wanted to give myself plenty of time to redraft if needed. When I sent out the email to have people join the test, my stomach was in knots. I could have thrown up I was so nervous. But I had decided that this was my year. I wasn’t going to let fear hold me back anymore. And I did it. My testers were raving about my pattern. Once again, I was stunned. They liked my work. And every size fit exactly as I had planned. I had one minor adjustment to do to the neckline for the smaller sizes, but overall, there were very few edits. I just couldn’t believe that things were going so well. So I pushed forward. I designed and tested the Bow Tie Leggings & Shorts pattern. We had a few hiccups that required a second round of testing, but overall, the finalized pattern as well received. I released it a month ago today as my very first pattern and I was so proud of myself. I called my mom the instant I sold my first copy (Shout out to Alyssa Carrion of Calm & Carrion! She was my very first sale.) I was giddy. I had made $6, and you would have thought that someone had paid me a million. That’s how I felt. I couldn’t believe that I had let fear hold me back an entire year. Only because I didn’t believe in myself, and I was scared of failing. So a month later after the official launch of my business, and things are going so much better than I ever could have hoped for. 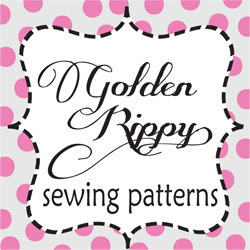 I’ve had over 400 people download my patterns, and gotten over 11,000 page views on my site. I may not be making a living at this yet, but I’m well on my way. The purpose of this blog isn’t to boast. It’s not to say, “Hey, look at me! Look at what I did!” The purpose of this post is to inspire someone else to just jump. Just jump. That’s all you have to do to get to where you want to be. Yes, it will be a lot of work, it will be terrifying, and yes, some people may even hate it. But guess what? A lot of people may just end up loving it. You will never make it if you don’t make that first step. And after you make that first one, make the second, then the third. And then all of a sudden you will look around, and be exactly where you wanted to be all along. Seriously, start. And do it today. Win a MASSIVE Sewing Pattern Giveaway! Another great Aspiring Designer’s Challenge by Betties Basket Sales and Promotions is gone, and it was a great one! That is a CRAZY total of 31 FREE patterns!! Max & Meena, 1 pattern of choice. It’s the last day of our blog tour, and we are ending it with a bang! If you missed day 1, day 2, day 3, day 4, or day 5, be sure to check them out. First up on the Blog Tour is Stacey blogging at From-a-Box. That’s what her house looks like, a box dropped on a neighborhood lot in the Pacific Northwest. At the box, She parents 3 kids, works full time, and LOVEs to sew Indie Designer patterns – like the Holiday Cutout Dress by Bella Sunshine Designs! Because her favorite season is Autumn, she fashioned a Pumpkin-Patch-worthy top from the pattern, complete with a pumpkin cutout in the back and appliquéd pumpkins on the front. And as an added bonus, the Pumpkin Patch Top puts Stacey 6 months ahead and ready for October already. Go see the Holiday Cutout Dress here. Next we have Ula who blogs over at Lulu & Celeste where she shares the clothing and other fun things she sews. She sews mainly for her two girls, “Silly Bean” and “Baby V”, who are fun to sew for since they don’t take up a lot of fabric! She’s even written a couple tutorials for small crafts and has a few more in the works. You can see more here. That’s a wrap! It’s been so much fun seeing what everyone has come up with using the Holiday Cutout Dress & Top PDF Sewing Pattern. Just to recap, here are the great bloggers that we’ve seen along with their posts. Be sure to check back and look at any of the ones you missed! And I must add a HUGE thank you to all of the lovely ladies that participated in my first Blog Tour. They did a lot of hard work and made the whole thing a lot of fun. We are now on DAY 5 of our Blog Tour! Oh my goodness we are almost done! Be sure to check out day 1, day 2, day 3 and day 4 if you haven’t already. For Day 5, we have House of Estrela & Huckleberry Love: House of Estrela is a little sewing blog, from Portugal. You can find all the adventures of a stay at home mom (of two) that sews for the love of doing it. You can find a very significant amount of refashions in this blog, because its author just loves to get creative and turn pre-existing clothes into a whole different thing. Check out her post here. Lydia is one of four friends behind the blog, Huckleberry Love, where they chronicle their DIY adventures, share sewing and crochet projects, and write about life with their littles. When she isn’t wrangling her three kiddos, Lydia is either cutting out another sewing project, reading three books at a time, or trying to stop herself from binge eating on donuts. She would love for you to join her over at Huckleberry Love, as she and her three friends craft, create, and cheerfully make their way through motherhood! See what she came up with! Join us tomorrow when we visit From-a-Box & Lulu & Celeste! Welcome to day 4 of the Holiday Cutout Blog Tour! Be sure to check out day 1, day 2, and day 3 if you missed them. Today we have Create 3.5 and Young Whimsy, two crazy talented seamstresses who have generously agreed to share their Holiday Cutout results with us! Are you ready to see what they made? Let’s go! Meriel Aho of Create 3.5 is a busy mom of 3-under-4, sewing for her kids and blogging when she can find the time! She created this top with a heart cutout for her younger daughter. The crazy colorful print pairs with her daughter’s goofy personality perfectly! It’s so bright and happy! Take a look at what she made here. Young Whimsy blog is dedicated to the creative interests of photographer and seamstress, Bethany Butler. Bethany is a wife, and mother of 4 young children. Young Whimsy blog is where she writes about everything from sewing, crafting, home decor, DIYs, and homeschooling. Bethany is super excited to get to be a part of Bella Sunshine Design’s blog tour. Check out her post! We’re nearing the end of our tour now, but make sure you check back tomorrow when we stop at House of Estrela & Huckleberry Love! They have some pretty amazing creations up their sleeves to share with you all! Are you enjoying the tour? If so, please drop a comment below! We love hearing from our fans/customers! It’s St. Patrick’s Day and day 3 of the Blog Tour! My husband’s whole family is Irish, so this holiday is a huge celebration in the Prendergast household. If you missed day 1 or day 2, be sure to check them out to get caught up. 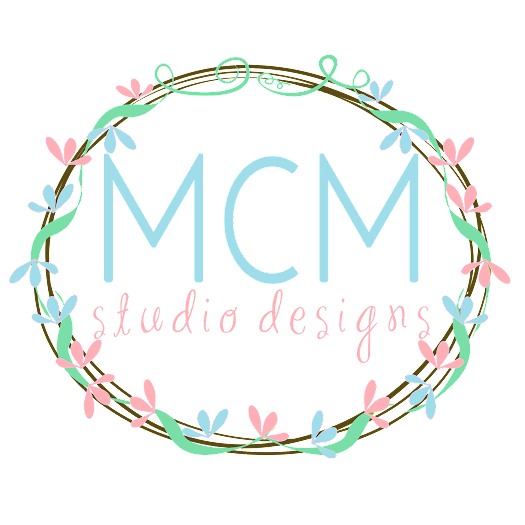 We have THREE bloggers for you to check out today: Candice Ayala, Keep Calm & Carrion & Felt with Love Designs. Candice is a wife and mommy of two. She is a lover of all things pink, mermaid, vintage, and crafty. Her greatest joy comes from sewing for her daughter who happens to be her biggest inspiration. She now uses her blog, Candice Ayala, to catalogue all her sewing and crafty creations. Check out her post here. Keep Calm and Carrion is written by Alyssa. A former MP officer turned stay at home mom, she spends most of her time sewing for or running around after her two kids, Inara and Connor. You’ll find lots of pattern reviews and sewing for both kids and adults on her blog, all in a chatty, down to earth voice. Felt With Love Designs started as a place to share the fun and creative toys and activities Alicia designs for her daughter. Her favorite toys to design are finger puppets, quiet book pages, and softies. While designing toys of all kinds is still her main passion, the site has morphed into so much more since its debut. In addition to inspiration for DIY toys, she also loves to share some of the clothing she sews for her daughter, upcycling projects (upcycling “old” clothes is a favorite! ), holiday projects and traditions, kid-friendly crafts, children’s book reviews/recommendations, and various other odds and ends she sews as gifts for family and friends. Happy St. Patrick’s Day! That’s all for today. Tomorrow’s stops are Create 3.5 and Young Whimsy, so be sure to check back. Jessi over at The Berry Bunch created a cute little shamrock cut-out tunic for her baby girl. The tunic is in two different green fabrics and white ties for celebrating Saint Patrick’s Day. Her little girl looks all too happy with her mama’s creation, doesn’t she? The happiness on that cute little face says it all! Head on over to her post to check out more pictures of the St. Patrick’s Day tunic! Next, on our Blog Tour is Amanda from AmandaRose. She loves sewing for her 2 daughters and son and writes all about life and crafting. She made this adorable pastel bunny top for the holiday cutout blog tour and has another one already ready to sew up so both her daughters have their Easter dresses for this year. How cute are they going to be in their matching bunny tops? Be sure to check out her post to read more about it! Such talented ladies! I’m always so blown away by the talent I constantly ancounter! Be sure to check back tomorrow for a special St. Patty’s Day themed stop on Day 3 of our Holiday Cutout Blog Tour with Candice Ayala, Calm & Carrion, and Felt with Love Designs. Our very first stop is Melissa over at Rebel & Malice. She is a stay at home mom of 5 kids and blogs to document the clothing she makes, what inspires her, and hopes to provide some inspiration to others out there. She tested the Cutout dress in a tunic version with a star cutout, but you can also see a dress that she made with the tree cutout on her post here. Next is Heidi Richardson of Clever Catastrophe. She just cannot decide which holiday dress is her favorite—- so she stitched up 4 of them! Yes 4!!! Such a CLEVER little stitcher that one is, making her own matching bias tape and all for each one of her dresses. Her blog post includes the bunny, star, pumpkin, and tree cutout dresses. Among ALL of her precious spare time —somewhere between caring for 4 children— she somehow manages to stitch up a few pairs of matching bow tie leggings and has to show you how well they go together. Her little one models them all so you can see the fit and how happy she is wearing them. She is just exploding with excitement and cannot wait to share with you what a simple and quick sew this is. Be sure to check out all the outfits she made! Don’t they rock? What a way to start a tour! Be sure to check back tomorrow for posts from The Berry Bunch and Amanda Rose. So many talented bloggers are jumping in to share the amazingness of this pattern! I know you are going to love seeing what they come up with. Join us tomorrow for the blog tour to see what other highly creative peeps have done with this pattern! Holiday Cutout Dress and Top Release! Today’s the day! We are finally releasing the much anticipated Holiday Cutout Dress & Top! This pattern is being featured over at Pattern Revolution today, so be sure to check it out! It’s so cute! The bodice is fully lined with an enclosed skirt seam which makes for a nice finish both inside and out. Plus the bodice includes a little wiggle room which makes it perfect for layering in the cooler months. You can grab this pattern here on my website, Etsy, or Craftsy. Also be sure to check out my Bow Tie Leggings & Shorts pattern that was just released last month, and grab a copy of our free pattern, Isabella’s Banded Skirt, while you are at it. Plus, just because I love my customers, buy on my website or Etsy and use coupon code PRCHALLENGE for 20% off your total purchase. It’s good til March 14. Any of you feeling lucky? Roll the dice and enter to win a copy of this pattern for free. Don’t worry. If you win and have already bought the pattern, you’ll promptly get a refund.